This post has 837 views. After paying off my old phone, I knew I was done with buying phones on installment plans from carriers since the phones are overpriced, and there are plenty of unlocked phones with near top-of-the-line hardware for under $400. 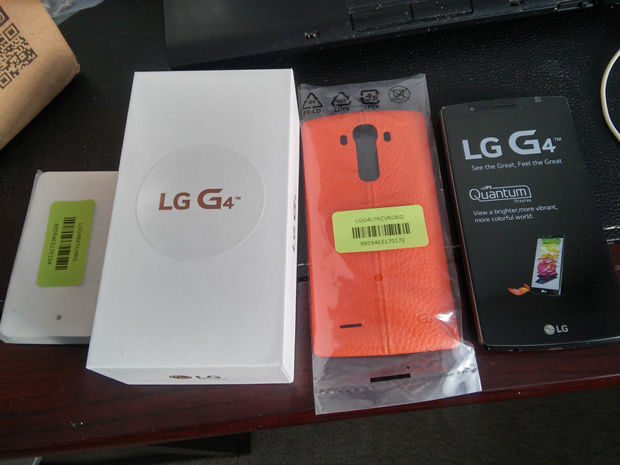 In the end, I decided to buy another LG, the LG G4. The G4 is LG’s previous generation flagship (the flagship model is the G5 at the time of writing), and can be easily found for under $300 these days. The G4 has the Snapdragon 808 chipset, 32 GB of storage, 3 GB of RAM, microSD card slot,a removable battery, 16 MP main camera and a 8 MP front camera. Pretty decent hardware for the price. The G4 comes in a pretty standard package, and includes a USB cable and a charger. The charger is rated for 9 W, which is bigger than the 6 W charger the G3 Vigor had. 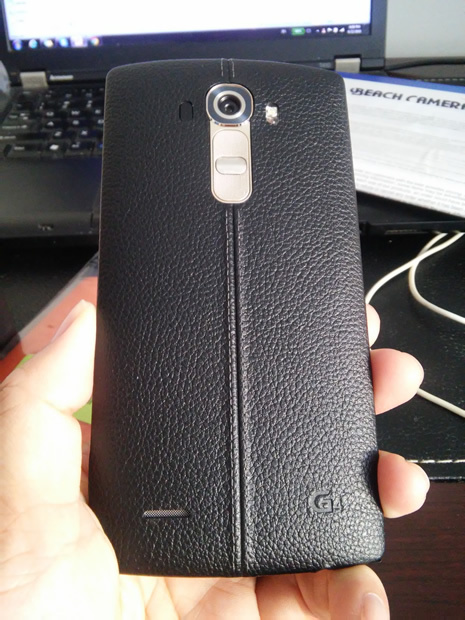 I got the black leather model, which means the back cover of the G4 is covered with a black leather surface. It’s the first time I had that on a phone and it offers a good grip. I’ll probably still put a case over it though to protect the phone. I bought the phone in a package, so I also have an orange leather back cover, and an external battery charger as seen in the picture below. Compared to the G3 Vigor, the G4 has the same general shape and button layout, but the screen is a little bigger. Despite the similar appearance, the experience so far with the G4 is much, much better with the G4. Unlike the G3 Vigor, everything is snappy with the G4 even after I installed all my apps, and I’m not in danger of running of storage. The G4’s 2560*1440 screen is also noticeably sharper than the G3 Vigor’s 1280*720 screen. I finally know what a decent Android phone is supposed to feel like. Like the G3 Vigor, the G4 also has LG’s remote control program that allows you control TVs and such, but the selection of devices in the G4 is much larger. I can now operate my TV using my smartphone as a remote, and that’s pretty cool. The G4’s camera is also very nice and offers a manual mode with a number of adjustable settings. Haven’t had a chance to play with all the settings yet, but since I like to take pictures on my outings and adventures, it’s good to have a high quality phone camera. I’m sure I’ll post plenty of photos taken by the camera on this blog . Anyways, these are just my first thoughts on my new(-ish) phone. Hopefully this one will last for a while and don’t become laggy and slow. As for my G3 Vigor, it’s my backup phone now, so even if my main phone breaks I’ll still have a working phone to use. My LG G4 just died. I was on a trip and trying to take a photo with it, and it just got stuck on the boot screen. I tried pulling the battery and rebooting it, but the phone would no longer function, and now it is pretty much completely unresponsive even to the power button. That didn’t last very long. Good thing I still have my slow and laggy but still functioning LG G3 Vigor as a backup phone. Actually, I bought the LG G4 twice. The first one I bought was brand new, but I dropped it in a lake while I was taking a sailing lesson and could not recover it, so I ended up buying a cheaper refurb off of eBay. That’ll teach me to buy a refurbished phone off of eBay. Next phone I buy is going to brand new with a warranty.